Yesterday, I watched Steve Jobs: The Lost Interview on Netflix. 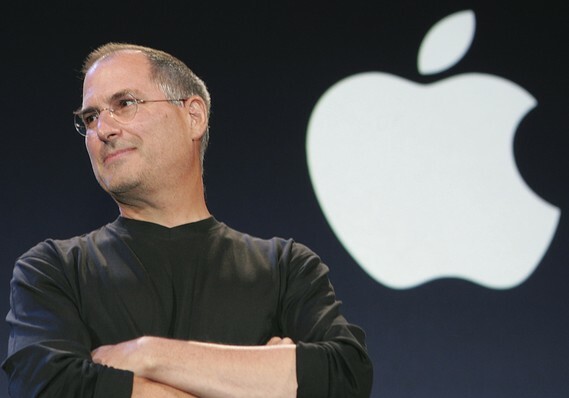 Steve Jobs is the genius who made personal computers popular; who brought us the iPod, iPhone, iPad and created the word's biggest company. But for me what I find most striking about him is that he's the rare combination of technical brain and business ingenuity. Most business people are not technically savvy, and even those with a technical background avoid the technical bits of their business. Steve Jobs was different. He had a brain that functioned as intelligently as that of Albert Einstein and the business acumen of Andrew Carnegie. He was a genius in every sense of the word. The interview was in 1995. He predicted all that is now happening in the technology world. He had an excellent way of explaining things. He was the main motivation for my wanting to follow my passion -- for 3 years (2011 to 2014) I watched over and over another video on him that showed how he followed his passion and changed the world. I watched it so much that I knew I was going to follow my own passion too rather than be a brick in someone else's palace wall. He showed me how the mind of a genius works. A true genius is himself and not trying to prove his ingenuity to the world. It is just like being a billionaire; you are not trying to impress anyone or act like a billionaire. You already are. It is the people who aren't who are trying to act like one and wanting to be associated with billionaires. If you need a genius quiz show or some competition to feel like a genius, then you probably aren't a genius. A genius thinks long-term. Sees into the future. Think Albert Einstein. He gave up so much for his work on Physics because he knew it would change how we see and interact with our world forever. Thomas Edison could fail 1000 times because he was in it for the long term. Same with Steve Jobs, he was more focused on creating the future. They all think long-term. They've got brilliant simple minds. I have biographies and auto-biographies of people who lived as far back as 600BC. The ones who were the brightest and shaped their world had the simplest lives. They were not the high sounding and complexity loving ones.